Let’s make your winter impressions brighter! We decided to share these three awesome winter tutorials from our Facebook page (by the way, join us on Facebook, if you already haven’t, more cool staff is to come there). 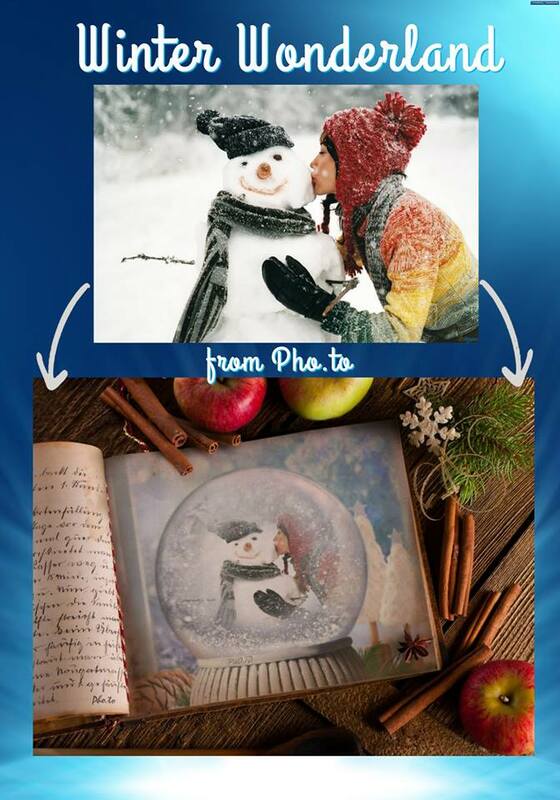 Follow simple steps to combine effects and create amazing winter collages. All these tips are suitable both for Funny.Pho.to website and Photo Lab app users. If you want to have some fun with your photos, first edit your shot with ‘Snow Effect’ (if you are using our mobile app, look for it in ‘Stylized Effects’). Upload your photo and wait a few seconds until the effect is applied. 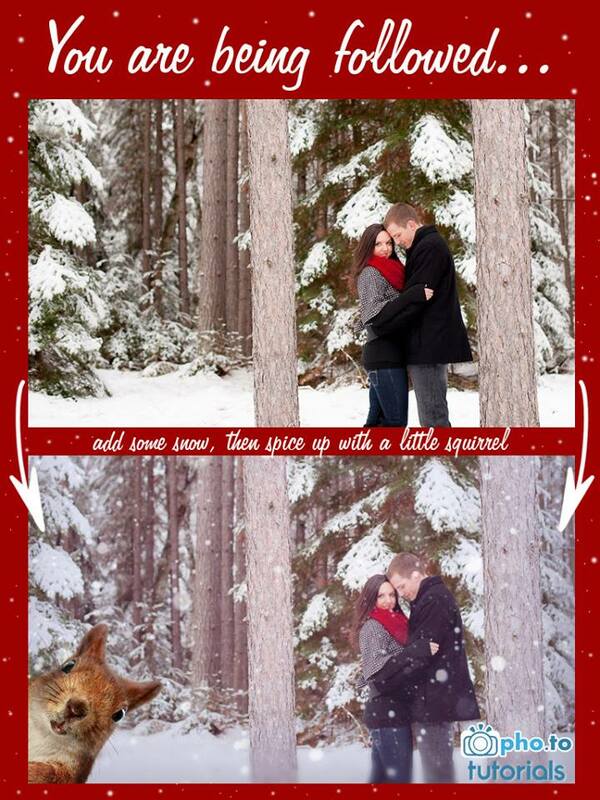 Click ‘Fun effects’ or ‘All Effects’ to get back to the list of effects and find the ‘Squirrel Photobomb’ if you are using the web site or look for it in the ‘Photorealistic Montages’ section of the app on your mobile device. Now when you are on the effect’s page switch to ‘Recent results’ and find the picture you edited with ‘Snow Effect’. Click it and wait a few seconds to get the result. Remember that you can add a short note with the help of ‘T+’ option for every effect. Let’s create an amazing winter card to cheer up and inspire your friends. Go to ‘Snow Globe’ from ‘Realistic Photomontage’ and upload your photo. Wait a few seconds until you get a beautiful snow globe with your picture . Now click ‘Fun effects’ or ‘All Effects’ to get back to the list of effects and find the ‘New Year Book’ in the ‘Photorealistic Montages’ section. Switch to ‘Recent results’ and find the picture you edited with ‘Snow Globe’ effect. Click it and wait a few seconds to get the result. How do you like the result? Those of you who love artistic approach to photo editing will appreciate this trendy combination of effects. 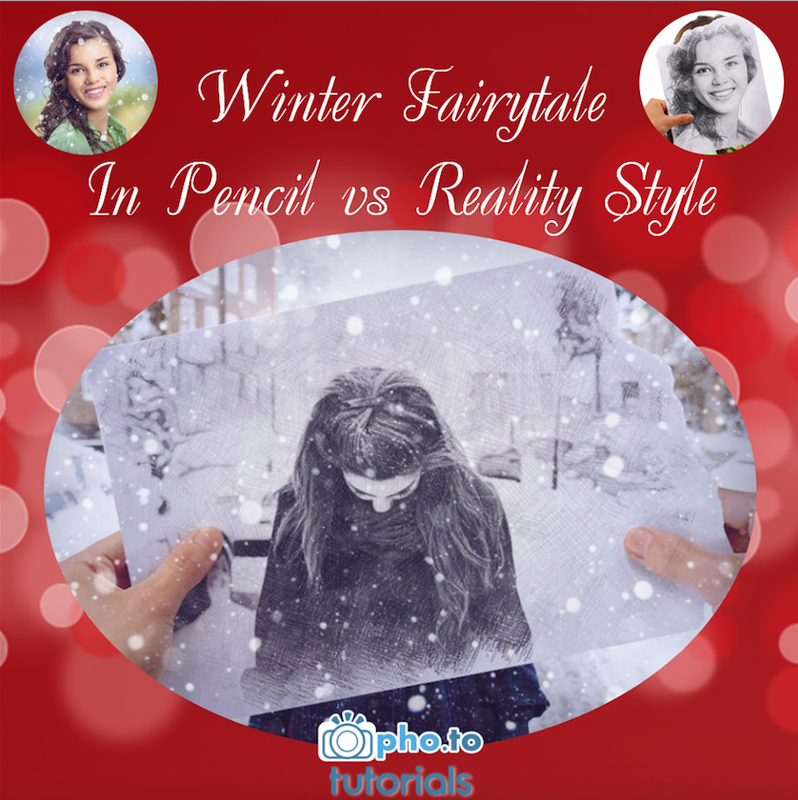 Find the ‘Pencil vs Camera’ in ‘Drawing vs Photography’ section and turn your photo into an unusual sketch. Now open ‘Snow Effect’ from the ‘Stylized Effects’ section. Add some snow to your sketch from the ‘Recent results’. Enjoy!